Graham Zusi has received quite a bit of attention recently. He was just named MLS Player of the Week and has been touted as the next potential national team call up. I spoke to him recently as was impressed by how humble and realistic he is about himself and his situation. 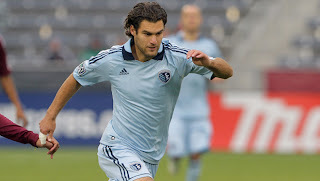 Graham shared with us his thoughts on Sporting KC, his future and how he spends his free time. Read on to find out. MLS Reserves: To start off, how bout a quick recap in your own words of your career leading into the professional game. Graham Zusi: “I played high school and club soccer. I also participated in ODP [Olympic Develomental Program] and was able to get to the region team for that. That’s where I was able to get the exposure to make it in college. That’s how I was recruited by Maryland University. I think that’s where I improved my game quite a bit…. They do a good job of creating a professional atmosphere at that school. They provide you the best facilities in the country and practice was always very professional. I think the amount of professional players we have in the league that come from Maryland is really a testament to that. I cant credit enough the amount of help that gave me. MLS Reserves: And how was it coming into Kansas City? MLS Reserves: You came in the first few years and saw some appearances, but this year you’ve become a staple for the team. What would you attribute that success this year to? MLS Reserves: You’ve heard people talking about your long distance shots before, do you practice those? MLS Reserves: Can you talk about the transition from the Wizards to Sporting? MLS Reserves: What are your strengths and weaknesses as a player? And with that, where are you looking to go in the future? Zusi: “My favorite spot on the field is in the middle of the pitch. I like to get as many touches on the ball as I can; be the link between the defenders and the attacking players. I think I do a decent job at turning with the ball and finding our forwards who are making runs. I really like trying to set things up. MLS Reserves: With Jurgen Klinsman coming into the national team, a lot of people, editors, reporters, etc. are prospecting you to be on the national team. Is that something you’ve thought about? Been approached about? Is that in your mind at all? 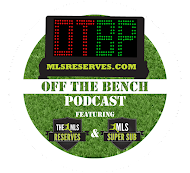 MLS Reserves: With Sporting KC having a number of home games left and you guys banging at the door of the playoffs, what are guys hearing in the locker room? What are you doing to make sure you guys do get into the playoffs and make a run? MLS Reserves: I tweeted out that we’d be interviewing and I had two fan questions I want to run by you. MLS Reserves: First, what does Graham Zusi do in his off time? I guess, what do you enjoy off the field? MLS Reserves: Thank you so much for taking the time to talk to us. Think about those goal celebrations! Well after garnering MLS Player of the Week awards, game winning goals and becoming a sustained starter for Sporting KC, Graham Zusi remains true to his roots. A humble and fun approach to his game, while keeping a love for nature. Sporting fans are getting to know a star in the making with Zusi. Keep an eye on this one folks, great things are coming.